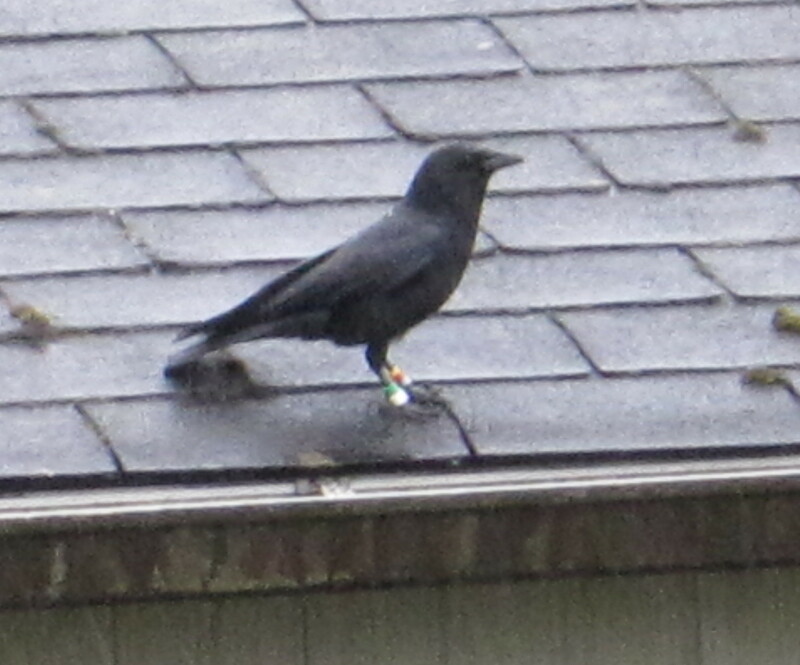 After many times seeing this banded crow I finally got a picture to share of his bands. Looks like facing him the left foot is green on top white and the right foot is red on top of silver. He hangs out in the alley a lot but this time I saw him at the house where I have seen one of the gimpy crows. Didn’t see that crow today. Remember he is the one who actually still uses his handicapped foot to balance on. Unlike the ones who hop around like a one-legged ballerina. Here is his pictures for those that track banded crows. This was on 39th Ave SW a couple of houses south from 100th. 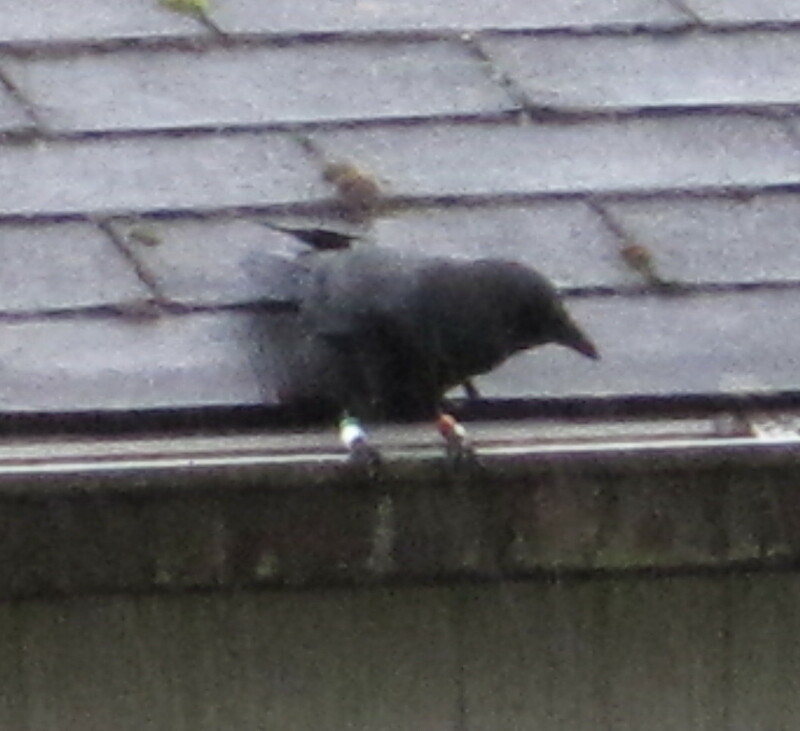 Hope this helps the cause for tracking this banded Crow.